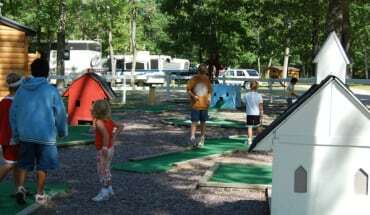 The Wanna Bee Campground & RV Resort has many amenities to make your stay comfortable & convenient. We offer dependable Utility Hook-ups at most of our sites to meet your needs: electric, electric & water, or electric water & sewer. Our restrooms are clean and modern- complete with free hot showers, flush toilets. Coin-op Laundromat. 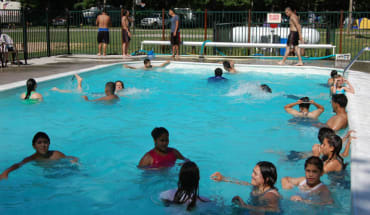 The campground has multiple Recreational Activities on site including heated swimming pool, basketball court, horseshoe pits, mini golf, sand volleyball, bicycle rentals, children’s playground, and nature trails. 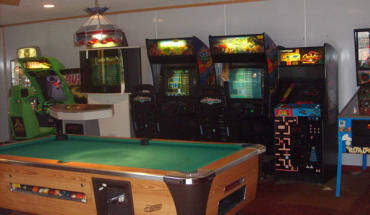 We have an exciting Game Room for your entertainment including pool table, pinball machines, juke box, and favorite video games. 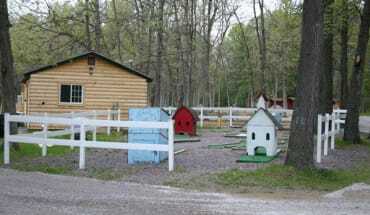 The Camp Store has a large selection of foods, snacks, beverages, camping & personal supplies, firewood, gifts, and more. 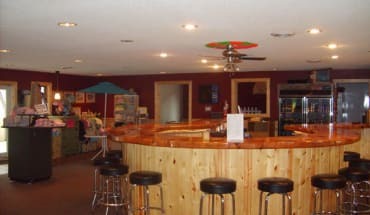 The Wanna Bee Bar/Snack Bar & Grill is a great place for our guests to quench their thirst or get something delicious to eat. Need firewood? Forgot something or want to pick up a little souvenir of your stay at Wanna Bee? Check out our Camp store located in the Registration building. 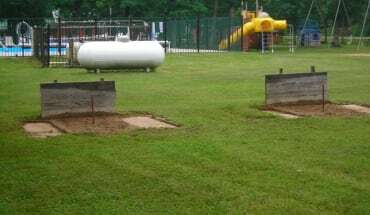 Volleyball, horse shoes, basketball and tetherball. Check out equipment at registration. Open grassy area for fun and games. Please, no water balloons! 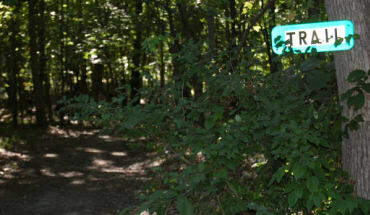 Take a walk in the woods on our beautiful Nature Trails. Located off our north and west tent areas. Heated, fenced Near play ground, 9:00 am to 8:30 pm. Forget your ride or want to try something a little different? 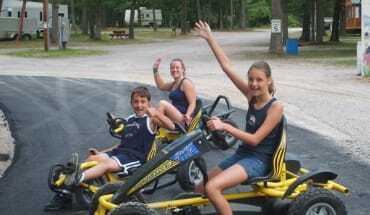 Rent one of our standard bikes or Balanz bikes. cost ($5 per/30 min) rent at registration desk. Adjacent to bath house. Check out equipment at registration. 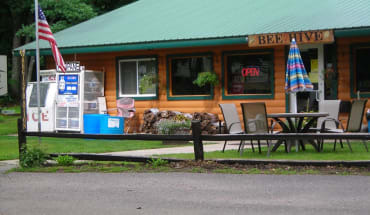 Come in to the Bee Hive Pub for a quick snack and drink.